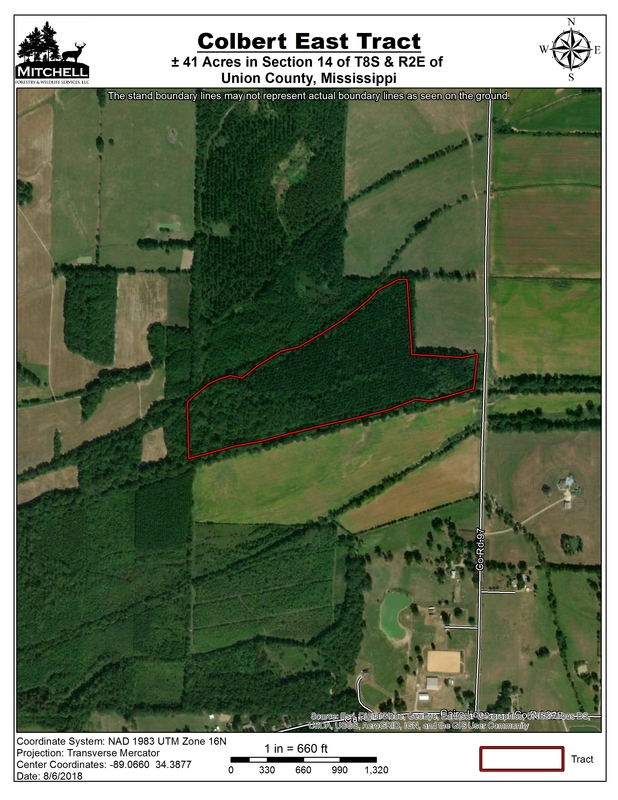 Location: Section 14, Township 8 South, Range 2 East in Union County, Mississippi, 3.5 miles east-northeast of Ecru. 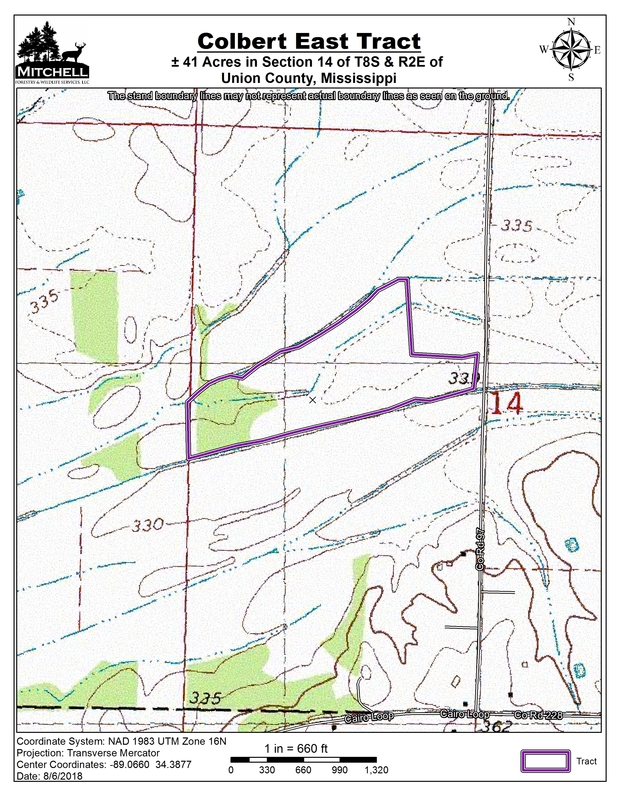 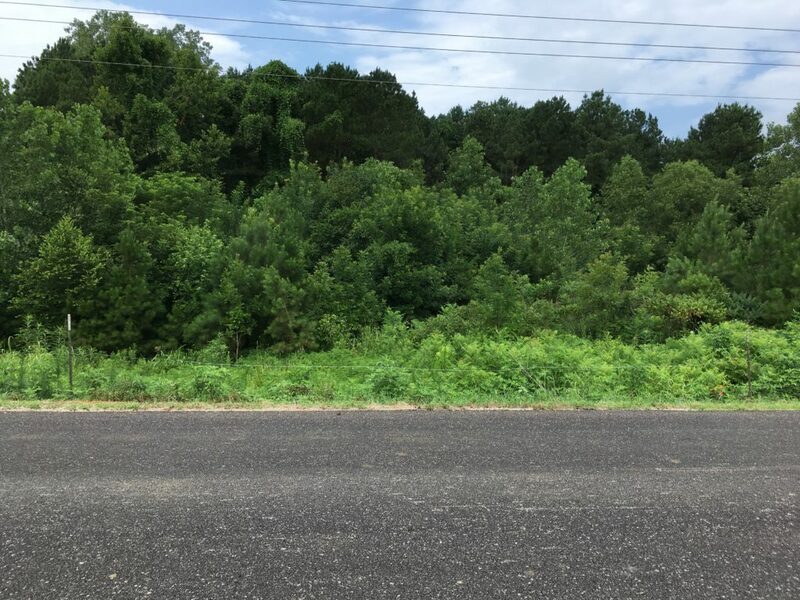 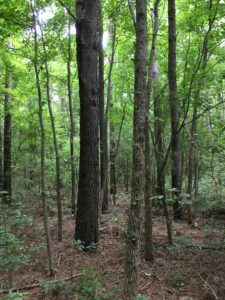 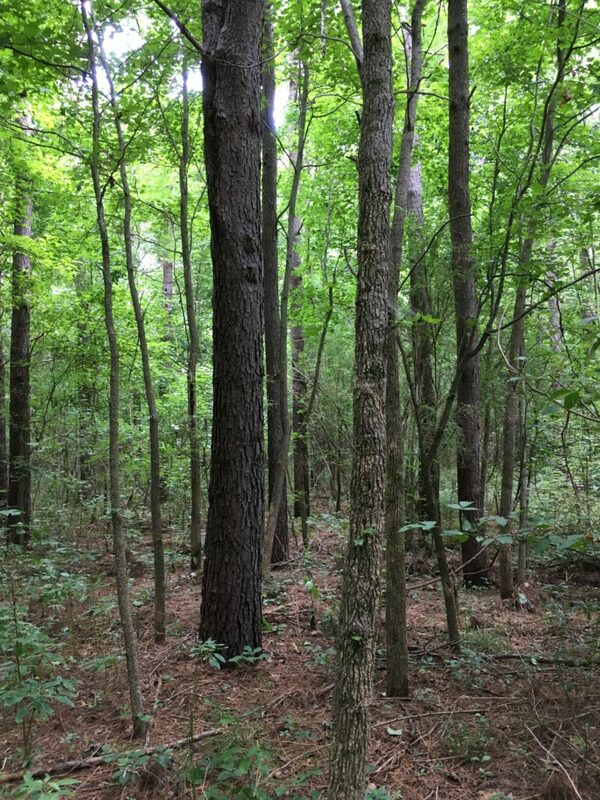 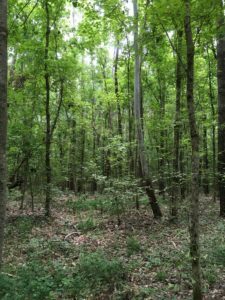 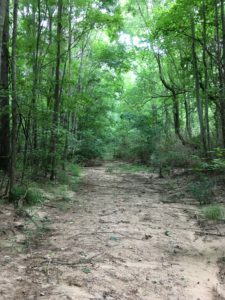 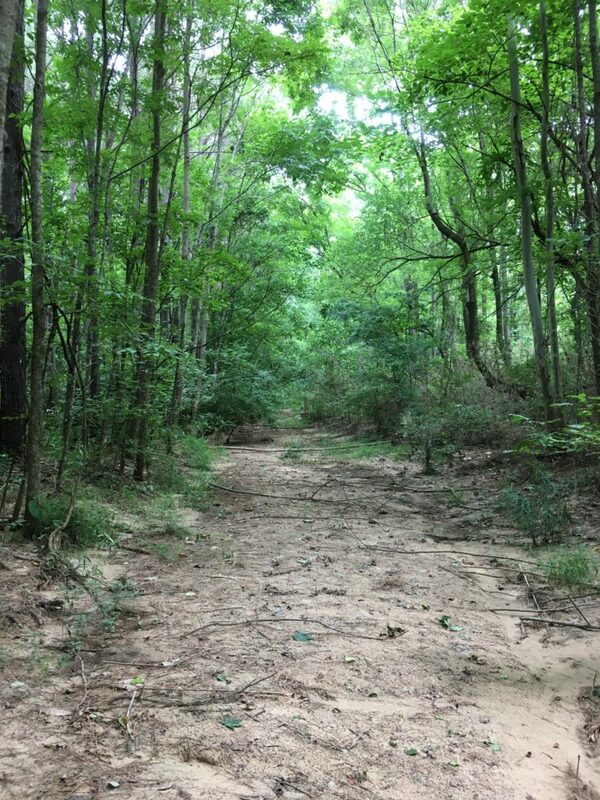 Stand 1 is ±23.6 acres of loblolly pine planted in approximately 1990 that has been thinned twice. 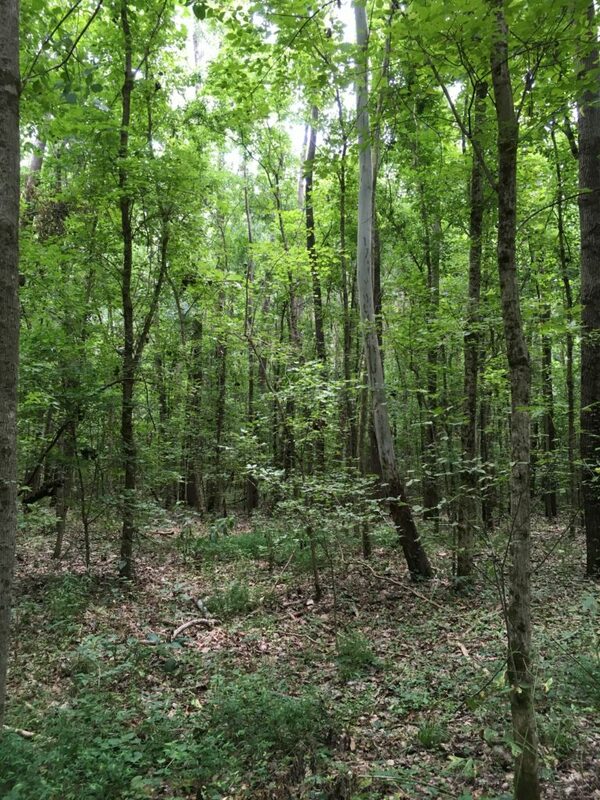 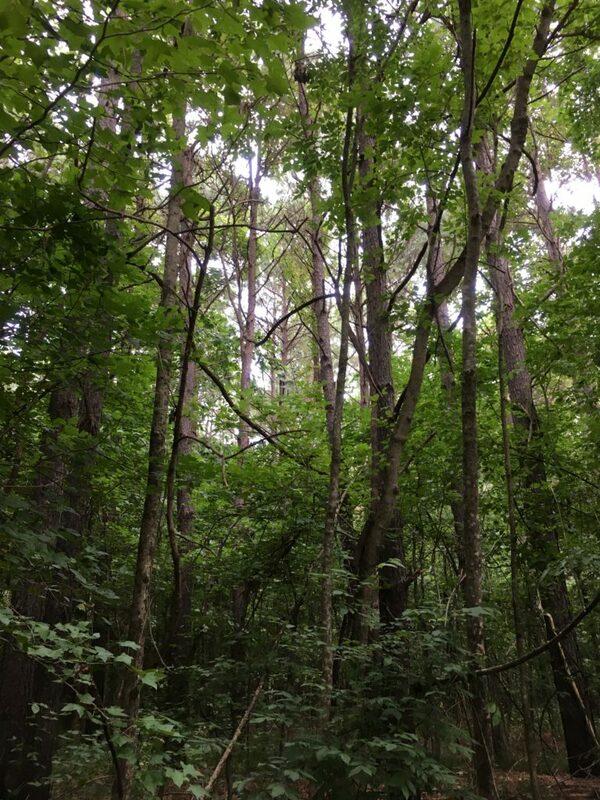 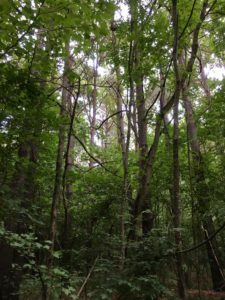 Stand 2 is ±17.4 acres of low to average quality mixed hardwood species. Road frontage is present on the east side of the tract.